What an honor it was to receive the Gilda Radner Courage Award at the Roswell Park Cancer Institute All Star Night. 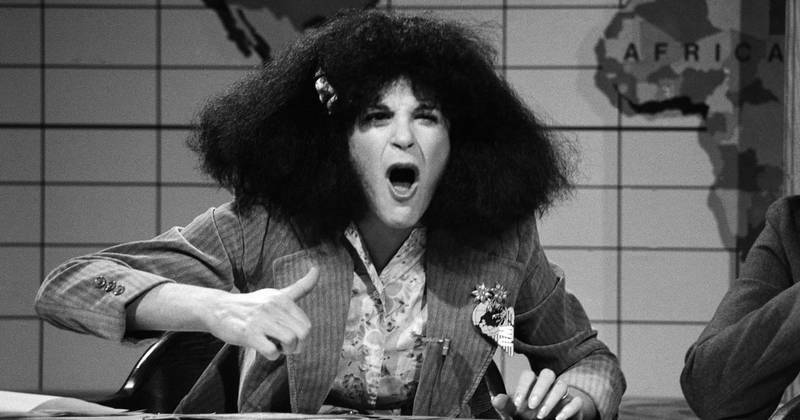 I had the pleasure of interviewing Gilda a number of times over the years, I even visited her on the set of Saturday Night Live. When she left SNL for a film career, she met the love of her life Gene Wilder while making the movie Hanky Panky– I remember interviewing them for that movie, and I wasn’t surprised when they got married shortly after. Here we are on the set of Good Morning America. And here’s an inside tidbit for you SNL Gilda fans - I once asked her how she got in to her outrageous Rosanna Rosannadana character and she told me that she would not only put on the costume but she would put on these thick stinky old wool socks that she never allowed anyone to wash, under her leather hippie sandals and that it was like putting on the character, slipping in to the skin of that crazy newscaster which by the way all of us newscasters loved. She was such a talented actress and comedian. And then as she faced her greatest challenge, her battle against ovarian cancer, she took her courageous battle public and dedicated herself to helping educate and empower other women to better protect their health. After her passing, Gene Wilder worked with Roswell Park Cancer Institute to establish a more comprehensive Ovarian Cancer Prevention and Early Detection resources, featuring tools like the Familial Ovarian Cancer Registry. They are very big shoes to fill, and it is my honor to continue her efforts for women with breast cancer.